Forget those clichéd New Year's resolutions that you set yourself every year out of habit; there are other small changes you can make to help you feel happier in yourself and improve your confidence. If you are fed up with your wardrobe and don't feel good in your clothes anymore, the New Year is the perfect time to change your style; You don't need to do anything drastic, even a small change can make a big difference. 1. Try simply changing your wardrobes colour palette; if you are usually seen in grey and black tones, just adding a splash of colour can give you a fresh, new look. The colour of the year for 2015 has been identified as Marsala, so this earthy purple hue is a great place to start! 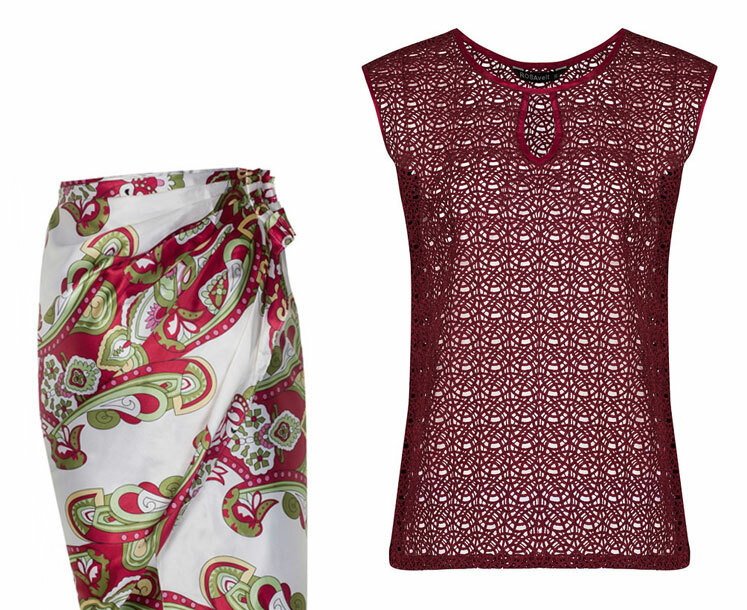 Here are a couple of colourful items from our collection of limited edition clothing, including our brand new Maroon Lace Top. 2. Take your favourite pieces and find similar items with a twist, for example if you love to wear jumpers, shake things up by looking for ones in different lengths, materials and neck lines to those that you are used to wearing. 3. Try something new; if you are always found wearing trousers and jeans, try a skirt or dress. There are hundreds of different styles of skirts and dresses available so try a selection to see which styles you are more comfortable in and that suit your body type. 4. Don't try to follow fashion trends! Being fashionable isn't always about what the current trend is; it is much better to work a style that you suit well than try and copy what everyone else is wearing. Take a look online, visit the main high street retailers and hunt through charity shops to find the perfect items for you. 5. Another great way to subtly change your style is to accessorise. Just by adding a scarf or statement handbag to your outfit you can completely change the look. Also, don't forget your jewellery! Make this year about feeling good! Follow these tips to expand your wardrobe and feel happier and more in confident in your appearance.